Google Maps Drops 3D Street Views, Was It a Prank? 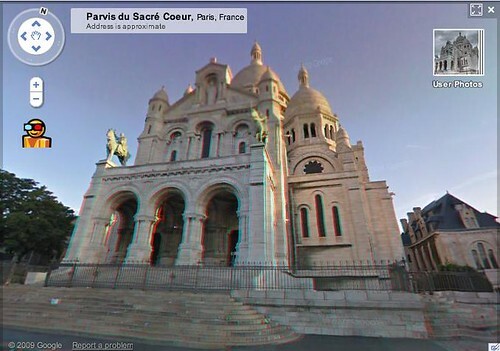 Home > Google News > Misc Google > Google Maps Drops 3D Street Views, Was It a Prank? The thing is, the 3D feature stuck around a until yesterday, seven days after April Fools Day. So many thought it was not an April Fools prank, but today, it is gone. So people don't know what to believe. We have two Google Maps Help threads with complaints. One said that they went out, spent money on 3D glasses and it is no longer there. I do not think it was an April's fools joke, but there were lots of complaints because apparently broke the functionality of the zoom bar on web sites hosting Google maps using the maps API. Hopefully it will be brought back when the problem is fixed. Honestly, I am not sure. What do you think? Update: Based on all the complaints, Google may bring back 3d street views. Update 2: On April 21, 2010 it seems Google brought back 3D street views using a different form of activating it.